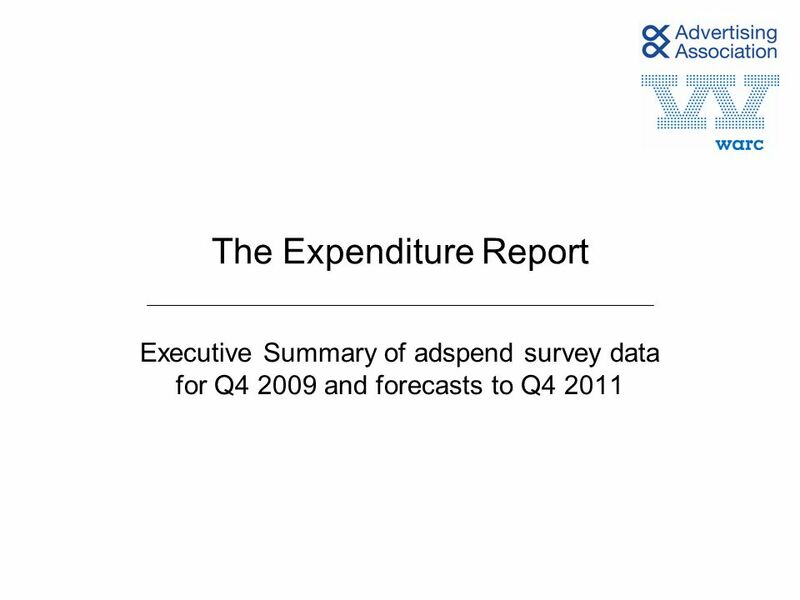 The Expenditure Report Executive Summary of adspend survey data for Q4 2009 and forecasts to Q4 2011. 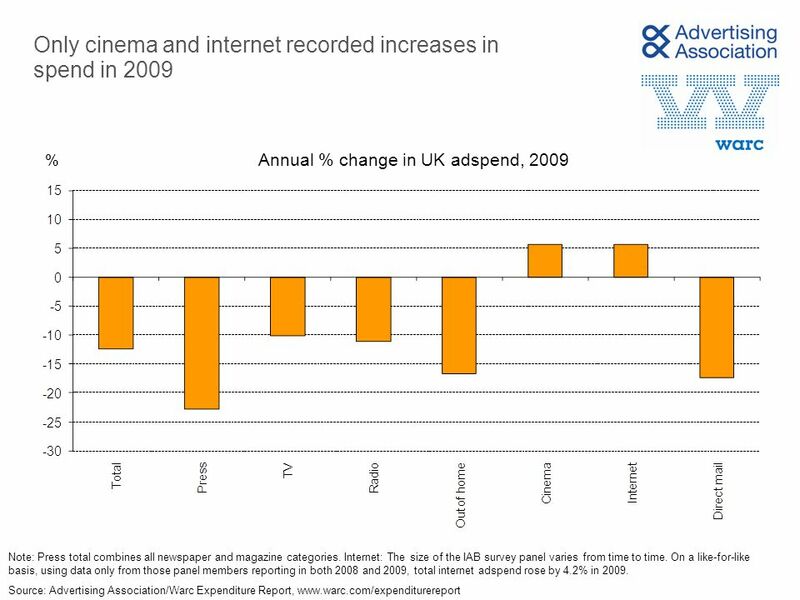 8 Only cinema and internet recorded increases in spend in 2009 % Source: Advertising Association/Warc Expenditure Report, www.warc.com/expenditurereport Annual % change in UK adspend, 2009 Note: Press total combines all newspaper and magazine categories. Internet: The size of the IAB survey panel varies from time to time. 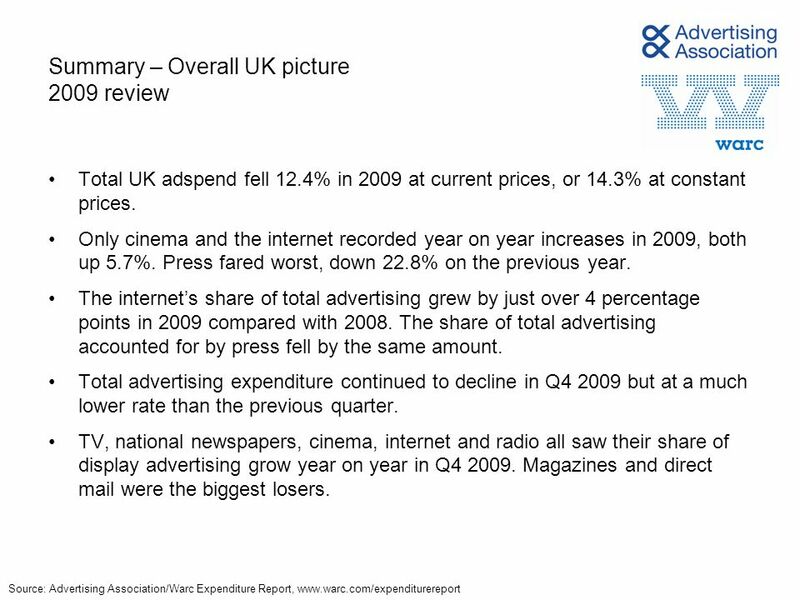 On a like-for-like basis, using data only from those panel members reporting in both 2008 and 2009, total internet adspend rose by 4.2% in 2009. 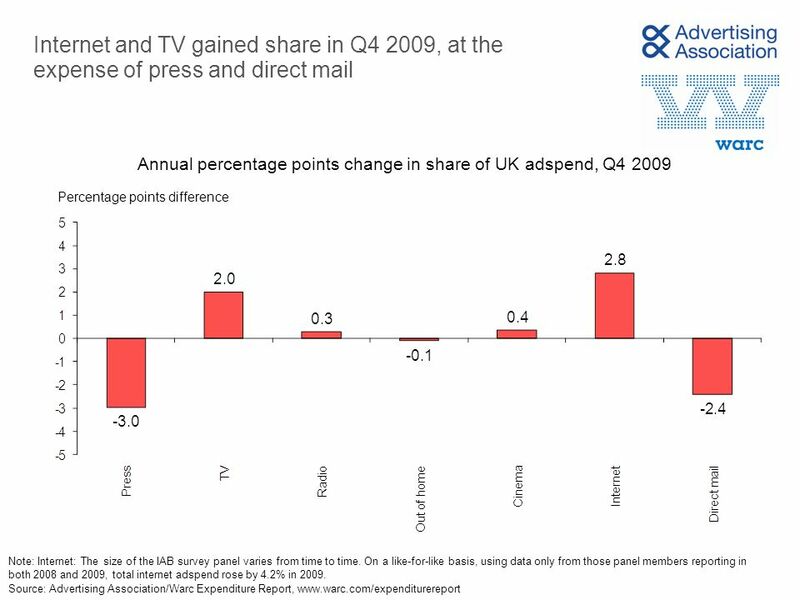 9 Internet and TV gained share in Q4 2009, at the expense of press and direct mail Percentage points difference Source: Advertising Association/Warc Expenditure Report, www.warc.com/expenditurereport Annual percentage points change in share of UK adspend, Q4 2009 Note: Internet: The size of the IAB survey panel varies from time to time. 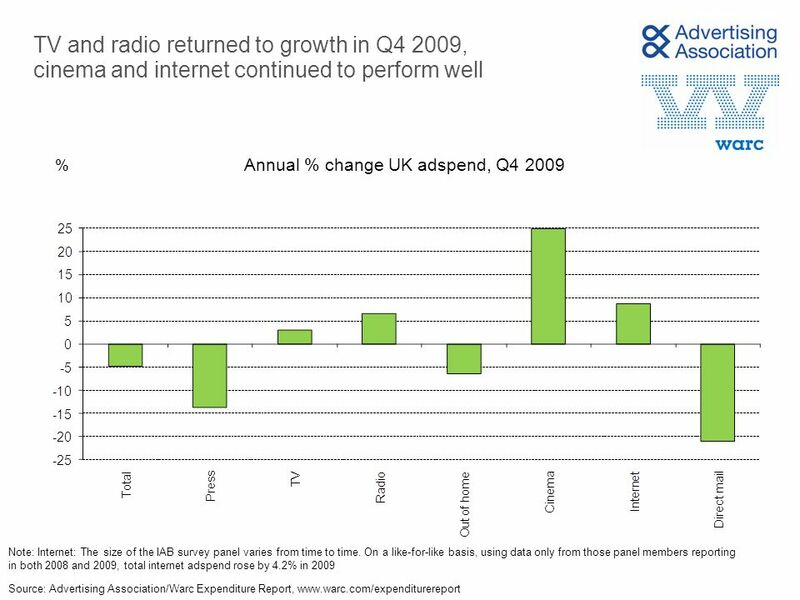 On a like-for-like basis, using data only from those panel members reporting in both 2008 and 2009, total internet adspend rose by 4.2% in 2009. 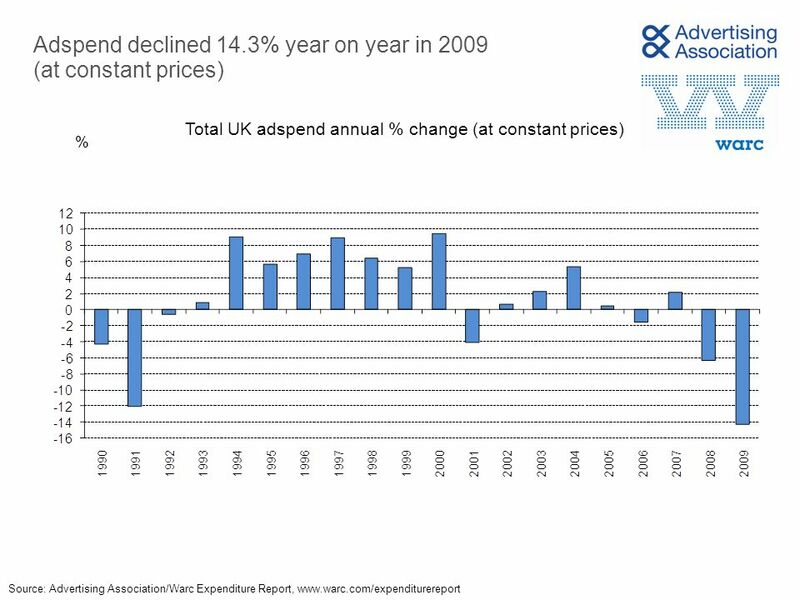 10 Internet’s gain in share is further evident when looking at full year 2009 Source: Advertising Association/Warc Expenditure Report, www.warc.com/expenditurereport Annual percentage points change in share of UK adspend, 2009 Percentage points difference Note: Internet: The size of the IAB survey panel varies from time to time. 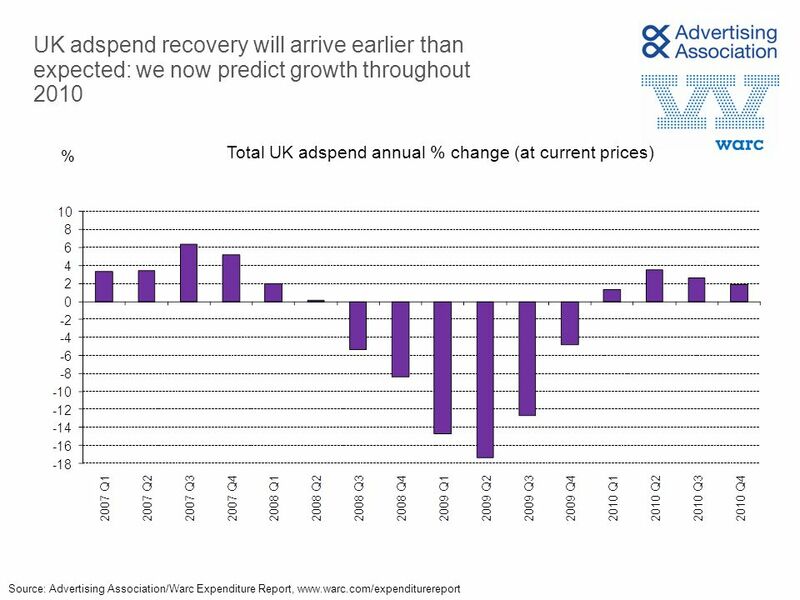 On a like-for-like basis, using data only from those panel members reporting in both 2008 and 2009, total internet adspend rose by 4.2% in 2009. 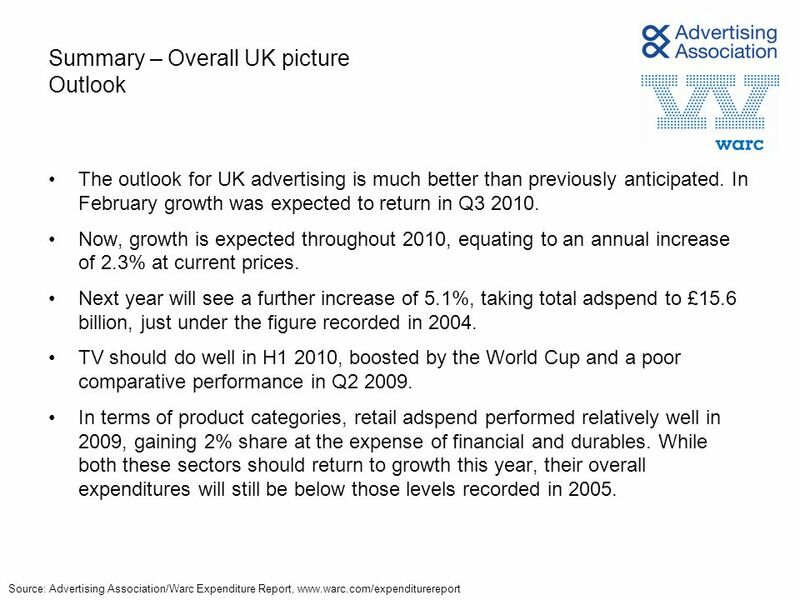 Download ppt "The Expenditure Report Executive Summary of adspend survey data for Q4 2009 and forecasts to Q4 2011." BrandZ top 100 most valuable global brands summary April 28 th May 2009. Global AdView Confidential & Proprietary - Copyright © 2011 The Nielsen Company November 2010 Finance: +16.5% Total advertising trend Year to date 2010November. 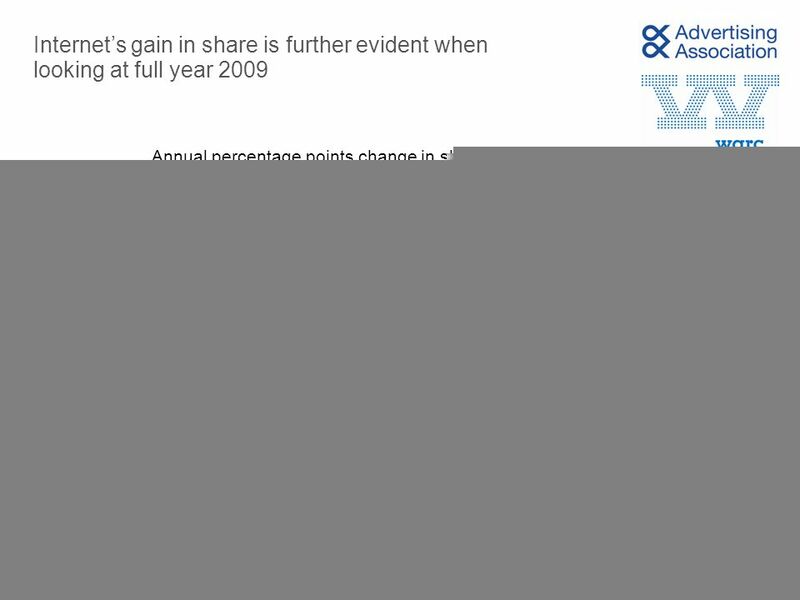 Global AdView Confidential & Proprietary - Copyright © 2010 The Nielsen Company September 2010 Finance: +27.5% Total advertising trend Year to date 2010September. 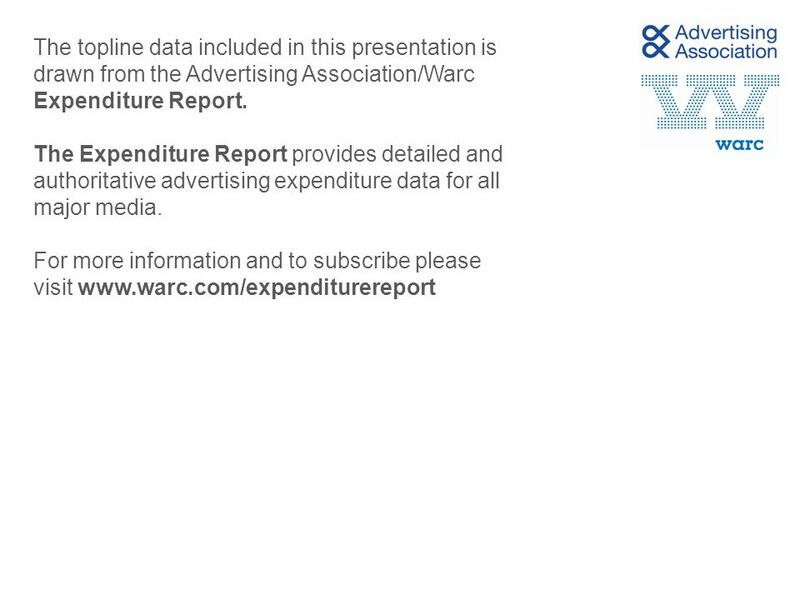 The Advertising Association/Warc Expenditure Report Executive Summary of adspend survey data for Q and forecasts to Q REVISED OCTOBER 2011. Key Performance Indicators for the Junior Resource Sector: Q Update Prepared by Mike Doggett August 27, 2014. State Budgets & The Economy Presentation to the National Association of State Auditors, Comptrollers and Treasurers Tony Hutchison, Director Oklahoma Office. Revenue Update A Briefing for the Virginia Association of Government Accountants John R. Layman Director/Chief Economist Office of Revenue Forecasting. ABC Analysis ABC Concurrent Release Jan-Jun 13. Assumptions & Notes The analysis on the following pages uses ABC consumer magazine data and therefore. Findings on the effectiveness of Outdoor advertising from Econometric studies conducted by BrandScience - Retailers (and highlights from FMCG study) 21. IAB Affiliate Advertiser Survey In association with A4U October 2012. 2014 BuoyantBuoyant Fantastic 2014/ At par with our earlier forecast. Outlook for NI tourism 20 th March 2015 NIHF Tourism Summit Helen McDermott. Internet Ads Boom, But TV and Papers Lag Mike Ramill Erin Keller Elizabeth Jahns. ZenithOptimedia’s Global Adspend Expectations and the Outlook For Russia. TOGETHER FOREVER? 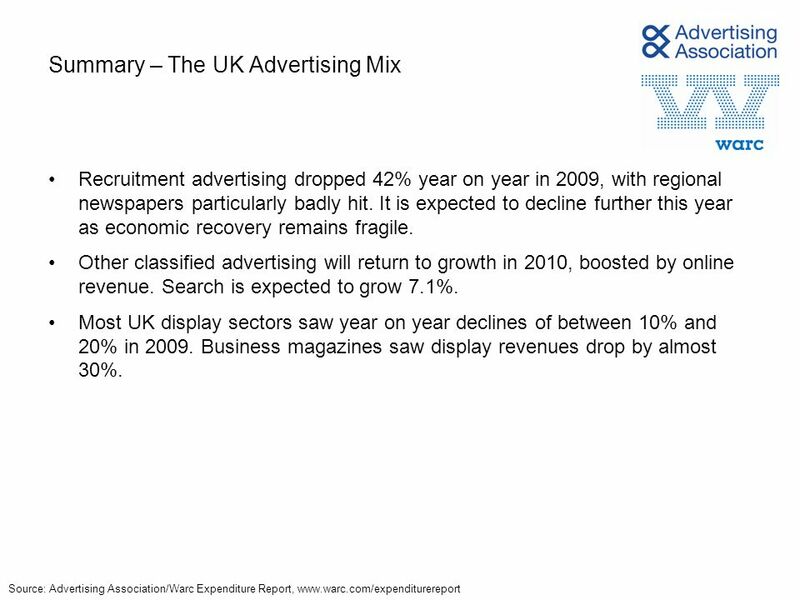 ONLINE + TRADITIONAL MEDIA Adex 2010 Internet advertising spending in Europe (5 th edition) Key findings. 2014 BuoyantBuoyant Fantastic 2014/13 2013 2014 At par with our earlier forecast.